We are very excited to announce that 10 days after announcing the camp, the access license which would have enabled drilling, has lapsed. The Dudleston Community Protection Camp is being dismantled and local campaign group FrackFreeDudleston have made the following announcement below. We are extremely grateful to Borras Community Protection Camp for their offer to host (no small task!) and are very excited about the gathering. 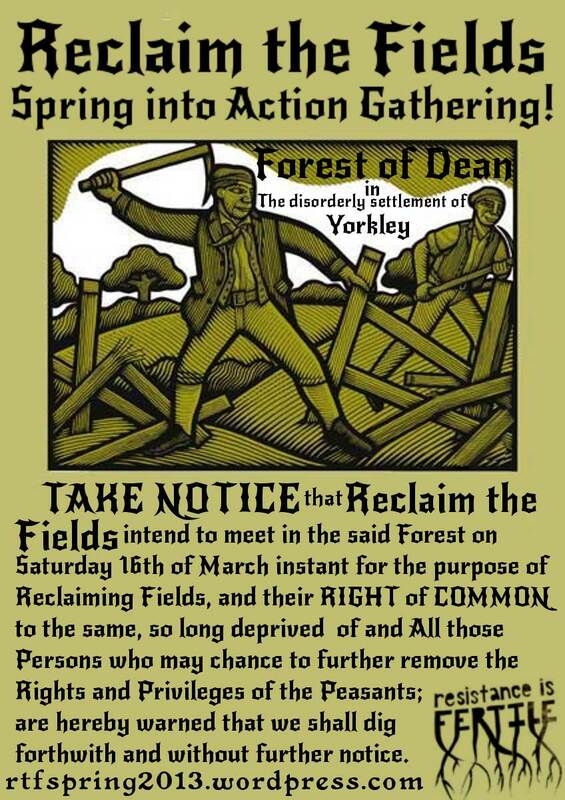 FrackFreeDudleston, along with the Dudleston Community Protection Camp, would like to make the following announcement. The proposed CBM test drilling will not now happen because the Access Licence with Mr Hickson, the landowner, has lapsed. When Dart Energy started the process of applying for permission to drill in spring 2014 they thought that the actual drilling would take place that autumn. The residents of the Dudleston area looked into the proposals with an open mind and then almost unanimously concluded that it was seriously bad news for the community and the environment and would not provide a meaningful source of energy for the country. Since then Defra have been forced to publish their own research showing that communities will indeed suffer. The modest amounts of money being promised to local councils as a softener for granting permission will do nothing to mitigate the impact on the people who live nearby. The planning application was contested by the whole community and is continuing its slow and tortuous passage through the planning appeal process. Now that the Access Licence with Mr Hickson has lapsed, it is technically possible for Dart to win the appeal and end up with a permission that they have no ability to utilise. FrackFreeDudleston, on behalf of the community, are confident that that won’t happen and are working with Shropshire Council to present a thoroughly robust case that should establish a national precedent for an unconventional gas application being refused planning permission at appeal. In July 2014, the Dudleston Community Protection Camp arrived at the site with the aim of physically preventing any drilling from taking place, as had happened in other areas around the UK. In Chester the planning permission was granted over a year ago and has still not been implemented because a similar community protection camp was established on the site and remains there today. That is happily no longer going to be necessary here and we would like to thank Yellow and his colleagues on behalf of the community for their dedication to the cause. An important question is whether the threat of drilling to find gas has gone away from this area for good. There are no certainties, however we have established that this area is geologically unsuitable. We have also established that we have a very united community, willing to stand up for itself in defence of the rural way of life that we enjoy. Almost all landowners in the area now understand the harm that would be inflicted by even just test drilling for gas and they know that they would be letting everyone else down if they were to sign up. Provided we remain united, the threat has pretty much gone away. At 10:00 this morning the land owner plus 5/6 bailiffs arrived to evict the residents of Grow Heathrow, threatening to break entry. Residents locked themselves to structures and climbed to higher ground. The police arrived, explaining to the bailiffs they were woefully unequipped to enforce an eviction. Indeed they were. Moreover, Inspector David George from the Heathrow Villages Area Police confirmed to us that as no official documentation regarding a warrant for the eviction was presented to Grow Heathrow or the police, the attempt to evict the site was unlawful. This success has proved to be useful practise for our call-out response, with many locals and individuals in the Grow Heathrow family arriving this morning. THANKS TO EVERYONE WHO CAME DOWN! If you’d like to be added to the eviction call-out phone tree, email us at info@transitionheathrow.com with your phone number, or text us on 07706602284. HAYES CARNIVAL HERE WE COME! We are still, as always, trying to buy our community garden’s land instead of having bailiffs at our home. Heathrow airport admits that at least 750 homes would need to be evicted and bulldozed under their plans for a third runway, and obviously more for a fourth runway. However, houses next to the runway would be unliveable due to noise and possibly air pollution. Final government blueprints for a runway would be different to the airport’s proposals, and may include more homes. Grow Heathrow has been teaching local residents how to peacefully resist eviction, as a third runway could emit 11.7 million tonnes of carbon dioxide a year – more than the whole of Kenya. It is no surprise that people are refusing to be evicted to make way for climate crimes, when scientists warn that such airport expansion is incompatible with the government’s legally binding obligations under the Climate Change Act 2008 to cut carbon by 80% by 2050. 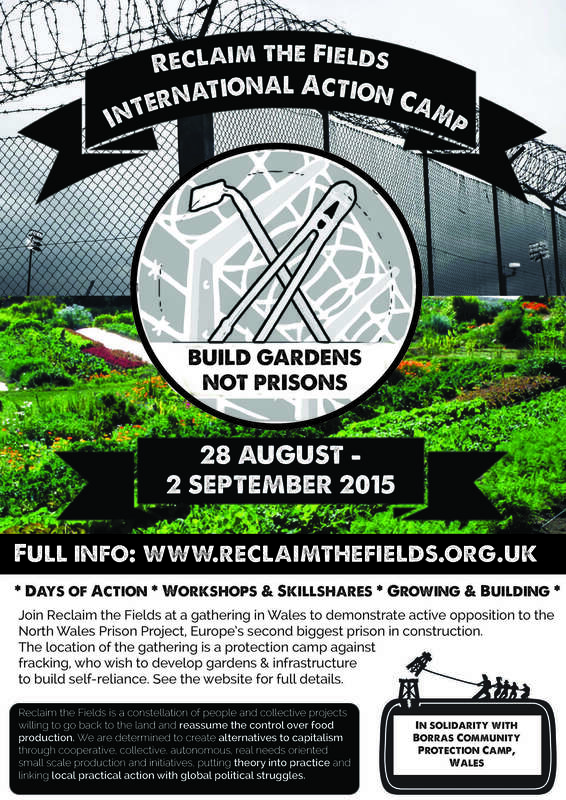 Bailiffs at Grow Heathrow (10:00, 8th July) – Need people here ASAP! 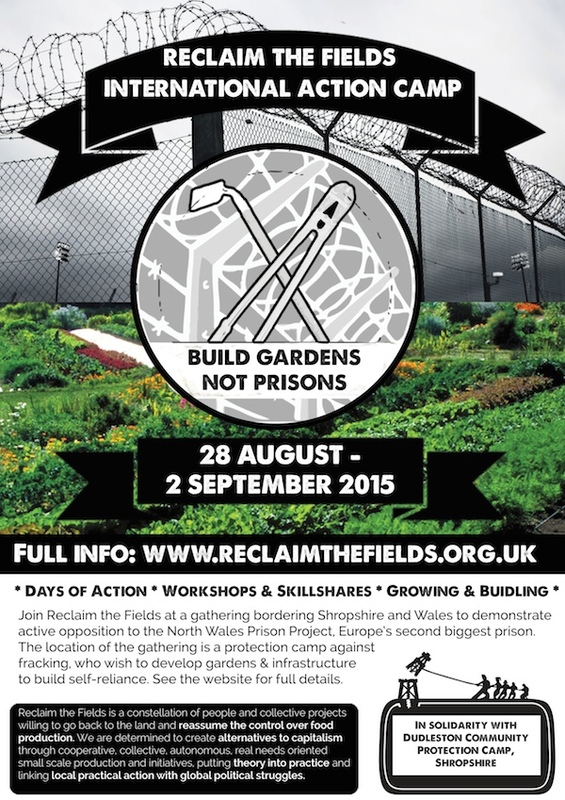 Posted in Mobilisations	| Comments Off on Bailiffs at Grow Heathrow (10:00, 8th July) – Need people here ASAP! All details are now available for the RTF International Action Camp taking place in the UK this year. 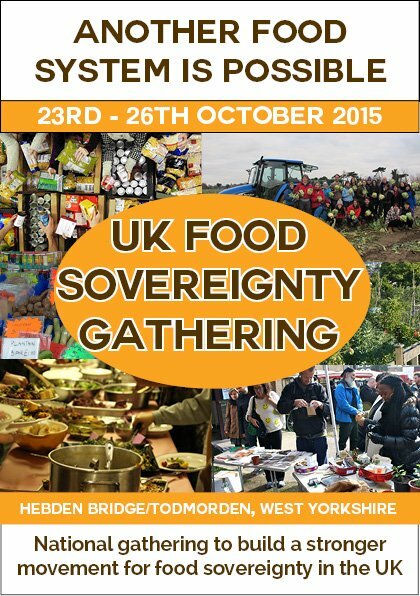 Since our last energising national gathering in 2012, the food sovereignty movement in the UK has grown with hundreds of projects thriving across the UK. It is time to gather again, share the amazing progress we have made over the past few years and plan perspectives for the future. This is a call out for you to save the date and join us for four days of discussions, organising, skill sharing and action planning. 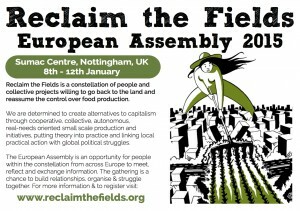 All aimed at strengthening the movement for a democratic, sustainable and fair food system in the UK and globally. Sign up above and we’ll keep you up to date with the plans. Details of a suggested donation towards event costs and food will be released when we have a clearer idea of things. We are planning four days of discussions, organising, skill sharing and action planning aimed at strengthening the movement for a democratic, sustainable and fair food system in the UK and globally. More details of this event will be confirmed later on in 2015. Sign up now and then we’ll keep you in touch with the plans and developments. (Climate) Camps are the heart of the climate movement. 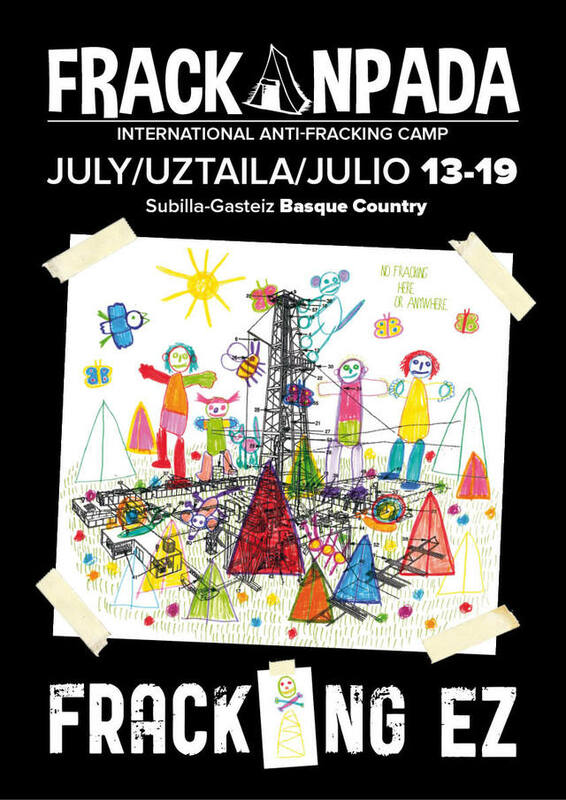 There will be workshops, action trainings, discussions, building windmills, music. Here we breathe the sweet scent of change and feel that we can empower ourselves to build a social, just and ecological society! 2| End Coal – at the right time at the right place! The Rhineland lignite mining area with its 5 dirty power plants and 3 open cast mines is the biggest source of emissions in Europe. Here we can grab evil by its roots: Here we can stop coal exploitation! Take part in the actiondays of Ende Gelände (14. – 16.08.)! The degrowth and climate justice summer school is a project following the international Degrowth Conference in Leipzig 2014. Here concrete approaches will be developed to practically and politically implement Degrowth. 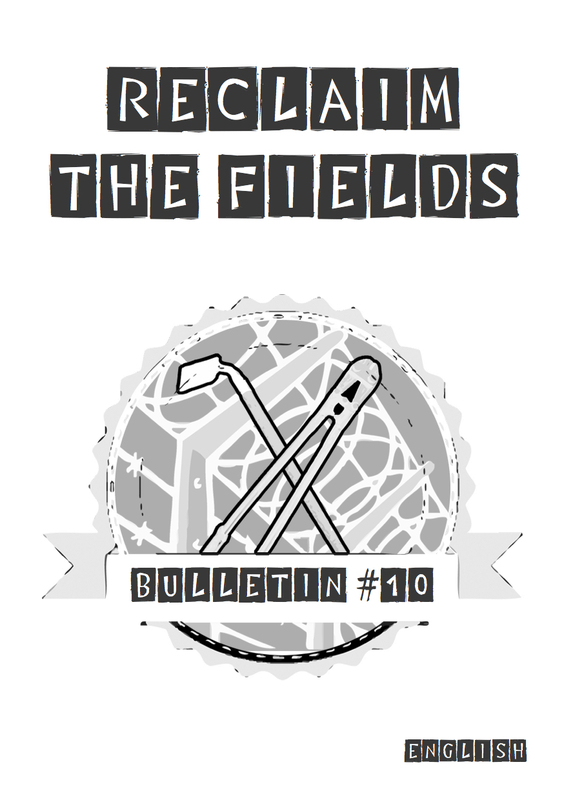 4| Don’t trust the authorities nor the COPs: Time to change things yourself! We take responsibilty to fight for climate justice worldwide. We build up alternative projects and resist against destructive industries. Let’s work together! Together we are struggling against the capitalist and growth based system – System Change not Climate Change! Storms, droughts and floods which are caused by climate change destroy the livelihood of many people. To fight against climate change also means to fight for the good life and in solidarity with the affected. For a world where people can decide freely where to go or stay! As regards to risks and courses of action, ask your affinity- or local political group! 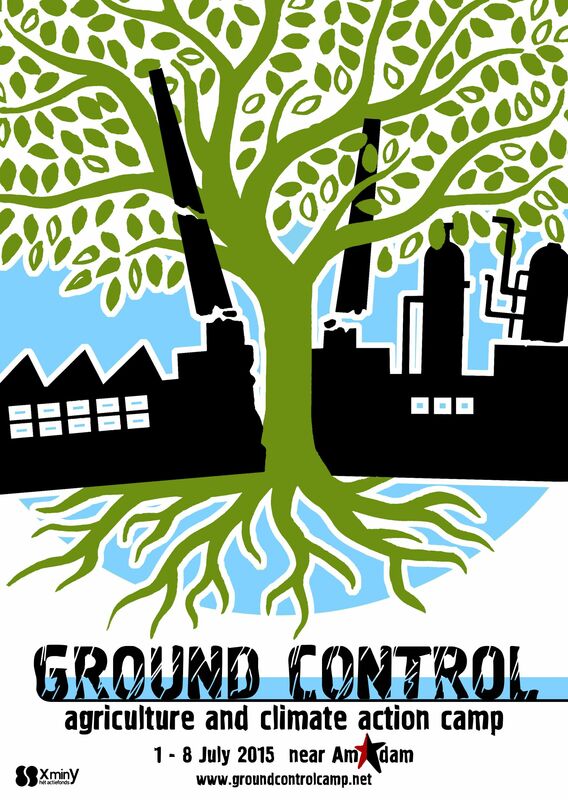 Ground Control is an agriculture and climate action camp that will take place in the area of Amsterdam, from July 1st to 8th 2015. Check out the website to find all the information you need to get ready for an inspiring week of fun and action! We know that facebook has many downsides, but despite that you can find us there as well. If you use it, use it with caution, and check out the Ground Control Community page and Ground Control event page.